Subject: Latest FAQ - does it redeem anyone? Magnus went up in Points, Headhunters got new rules, Immortals Phalanx Wardens, Palatine Blades and Ashen Circle too. Apothecaries can join Grey Slayers and they keep their warriors metle. It definitely makes Phalanx Warders a lot more useable, especially since they are now cheaper than Breachers. Getting Counter Attack is just gravy. I wish Headhunters had also gotten a price decrease, but I suppose getting Implacable Advance is nice, and Preferred Enemy (Infantry) is only useful for the re-rolls to Wound (since they already have twin-linked bolters) or if they choose to use other combi-weapons. Subject: Re:Latest FAQ - does it redeem anyone? Checking on the EC Palatine Blades, they definitely got a buff. Power Swords went down in price, so become a no-brainer to take. They now all have the option to get artificer armor, which is a bit expensive, but offset by the cost of jump packs going down, as well as every model beyond the initial five are cheaper, too. Old rules: 10-man squad with power swords and jump packs were 385pt. New rules: they're 280pts. Give them artificer armor and they're 370pts. Wow. I always ran them with a few Phoenix Spears, so this unit just got even better for me. With the artificer armor, I may no longer have to dedicate a dreadclaw to them, anymore. 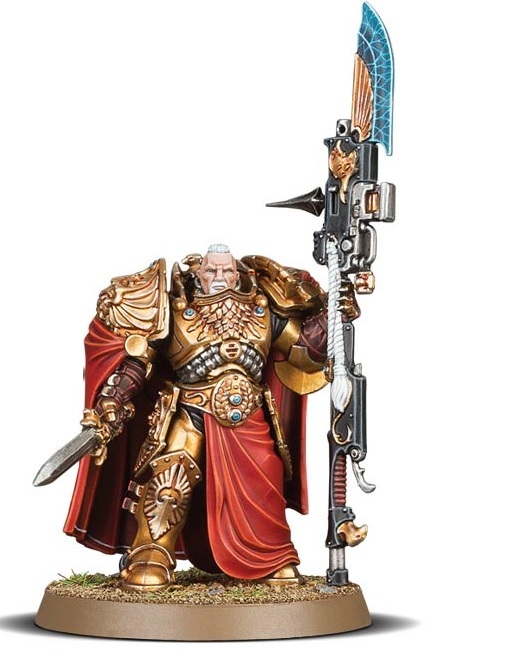 Too bad they still couldn't do something about the Misericordia for Custodes. Huge nerf to the Malcador tanks by taking away Super-Heavy. Some knife is unlikely to ever be superor choce to specialized h2h weapon. What stats fancy knife could have that makes sense and isn't inferior in every case to spear or sword? What weapon are you referring to? The custodes update is included inside book 8 which is why it's not in the faq apparently misercordia are just gone from people that saw book8. Magnus got downright gutted. Ouch. New Moritat rules are interesting. Still not great, but interesting. Headhunters got a step in the right direction. New Quad Launcher rules make Phosphex a potentially not friendship-ending weapon, good for all fluffy Death Guard players. Medusan Immortals look downright scary now. They are my bulwark against the Terror. They are the Defenders of Humanity. They are my Space Marines, and they shall know no fear. Checking on the EC Palatine Blades, they definitely got a buff. Power Swords went down in price, so become a no-brainer to take. That's disappointing - I'd rather the charnabal sabres were the better (or at least equaly-good) choice. I mean I dont think dark angel love was to be expected with only basic rules there isnt much to change. I'm surprised Palatine blades and ashen circle were updated yet rampages, pheonix terminators and varagyr remain untouched while being terrible. It'd be nice to not give away VPs for not killing the other guy hard enough, for the tradeoff of sometimes hitting on 3s in close combat. When you say "gutted" I assume you mean "He is balanced now"? I ran magnus and the 15th when they came out. Magnus with a D Nova is INSANE. I played 3v1 Apoc down 5k points. I still won because Magnus used Gate to Infinity and went "KANEDA!" And Akira Blasted four super heavies in one turn. He is right where he needs to be. [When you say "gutted" I assume you mean "He is balanced now"? Oh, I prefer where he is now to where he was. Just saying that the amount he was overall reduced in effectiveness was, well, "gutting." Though I'm not sold that the 175pt upgrade is worth the tag. Could see Magnus clock in at 550pts overall and get those additional rules all the time. A personal gripe of mine just got fixed - the Domitar Graviton Hammer, which, in its fluff are based on the Graviton Ram on the Thanatar-Calix but didn't have a template to lay down in the shooting phase like the Thanatar did, now gets two! The new quad-mortar rules sound good, i'll take them up on the 'playtesting' offer..
Death Guard got some love since it's lackluster ROW in book 6. Free upgrade Power Scythes from power fists. Destroyers squads got their price reduced. [love it] I still think they can be improved upon, but not unwelcomed. Higher attack output will make them popular for World Eaters too. Quad mortars are neutered. I get why it was done, I just personally would rather seen priced increased for certain [phosphex] munitions rather than Heavy_1 rules. Oh well. It was done to speed up the game. Good in my book. FAQ is welcomed. It would be much more welcomed if they made more changes to other overpriced units like Breachers. Overall, I like all the changes, especially the Rapier Quad Launchers. Varagyr Space Wolf Terminators are horrible models (they are just bananas bad! 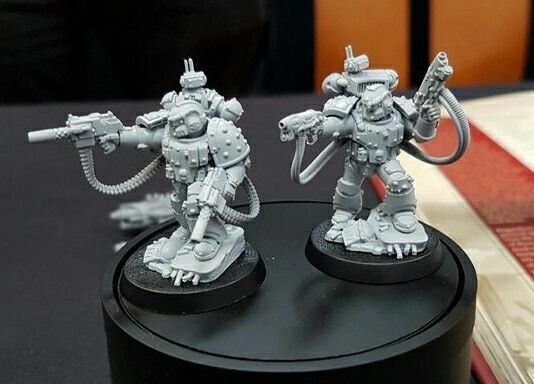 ), and the rules/points price make them some of the worst named Terminators in 30K. FW needs to just axe these guys and start over with a blank slate. Destroyers were pretty good before. Now they are better. Love it! I'm not sold on the Moritat changes. It's still suicide to take one with plasma pistols, which leaves bolt pistols and Volkite. Hope Forge World makes a Bolt Pistol version someday. Can't believe Imperial Fist Warders got counter attack and a ton of cheaper options combined with the changes in boarding shields making them cheaper then regular Breacher squads. Good for IF players! This FAQ/Errata was very unexpected, but welcomed. Nice to see Forge World engaging in the Horus Heresy again! Hope Forge World makes a Bolt Pistol version someday. This one's a bookkeeping tweak; the option used to be "any Character or Independent Character with the option to purchase a powerfist can instead purchase a power scythe at the same cost." As far as I can tell the practical effect of the change is to allow Grave Warden Sergeants the option for the scythe since they're the only Character or Independent Character in the Death Guard who start with a powerfist rather than having the option to upgrade to one. Still amounts to choosing a free exchange to reap at Str5/AP2, or 5pt for chainfist. Speaking of Grave Wardens... R.I.P. Sincerely FW. Honestly as someone that was doing a list with lots of Ashen Circle, the buffs are very over the top to me. I can't complain. Oooooh. Very nice! Maybe... someday... would love to get one for my SoH and IF armies! So like, I have always liked destroyer and moritats. Does this make them useful? I struggle to see how destroyers are good, bolt pistols seem.... underwhelming. a 35pt/5pt reduction and free Hardened armor rule makes them not only affordable but survivable. Besides, unless you got a hard on for Geneva Convention scripts, you take destroyers for that Rad Missie they can carry. Bolt pistols generally clean up the radiated/gassed leftovers. Also they have 4 attacks in the first round of combat, so they got quite deadly in melee as well. Don't forget they have counter attack, rad grenades (so will be wounding on 3's in hth combat most of the time) as well as the odd Phosphex bomb for softening up tough targets. They dish out a lot of attacks for their numbers.